It's been a while now since I started eating seafoods! All thanks to my loving sister-in-law, who's always persuaded me to taste every seafood dish she would make, until I must say I fell in love! 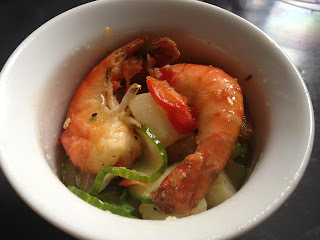 Well, that was not love at first sight but every swig of that crab soup, every bite of those garlic butter prawns and every snap at those crunchy calamari rings were heaven in the mouth! 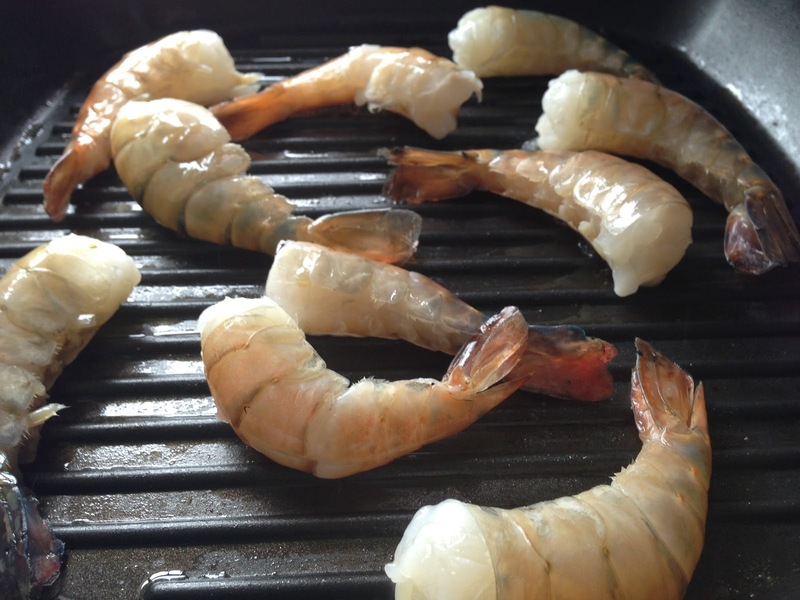 So to encourage this newly good habit of mine, I decided to cook something up with prawns, something healthy! Had you asked me to do that a few years back, I might have punched you in the face! 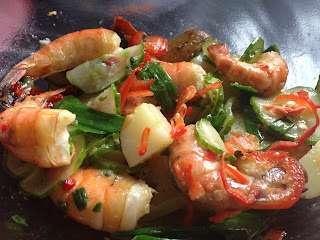 This recipe is all about flavours - garlicky, sweet, piquant, tooooooothsommmme! 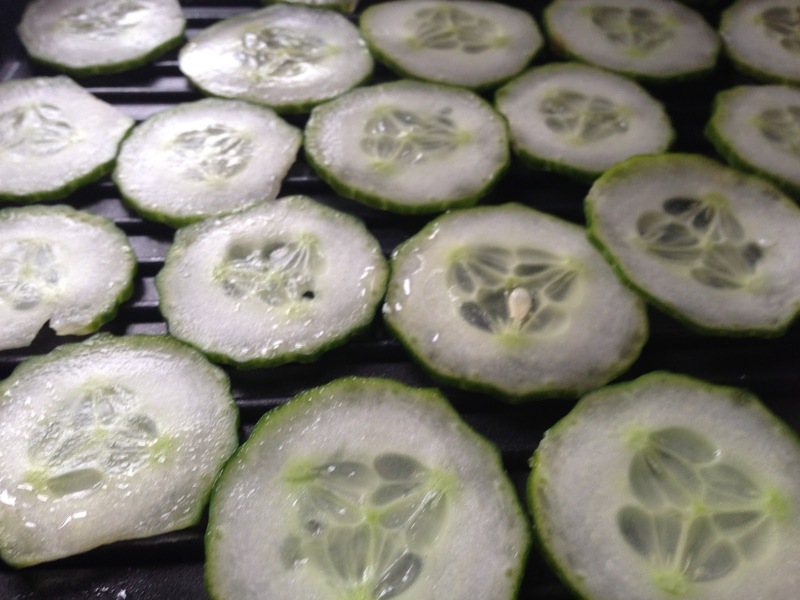 Gently cook the cucumber slices on a griddle pan with already hot olive oil for about 3 minutes on each side. [careful, you do not want them to get charred] Set aside. Repeat with the spring onions. Set aside. To the prawns add the crushed garlic and the chopped chilli. Let incorporate for a minute and finally add the honey, the lime juice and a dash of salt and pepper. In a salad bowl, combine together the prawns, the cucumber slices, spring onions and watercress. In another small bowl, whisk together the dressing to combine well. 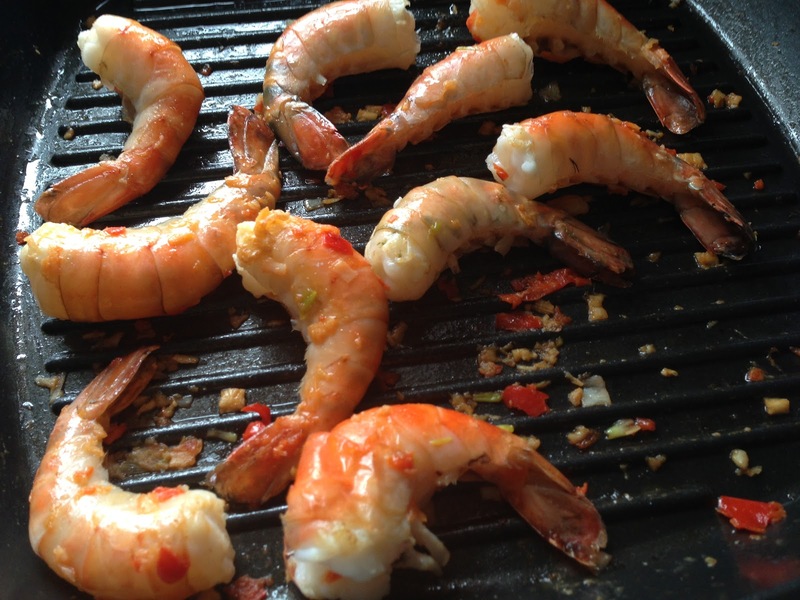 Finally add the dressing to the prawns! Give a quick stir and you're done! New to me but sounds too good.Bookmarked! !